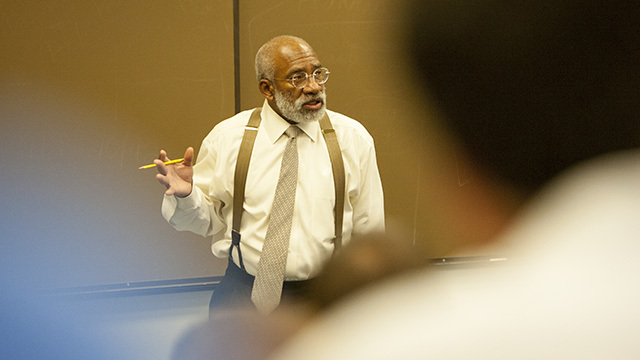 The School of Law is rising to the challenge of recruiting and retaining high-quality faculty members with a renewed focus on establishing additional endowed professorships and chairs to retain our best faculty, and to recruit the top experts in new and expanding legal fields to ensure students receive the training that they need and deserve. Endowed chairs and professorships are essential tools in reaching our goals of being recognized as one of the strongest and most vibrant law schools in the country and sustaining the important contributions our faculty make to teaching, scholarship and public service. Learn more in the Faculty Endowed Professorships and Chairs brochure.